photos within your Facebook business page. 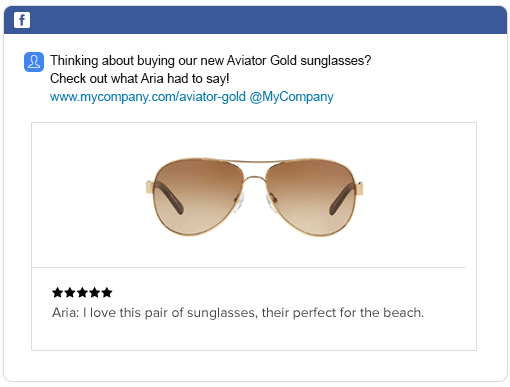 Display all of your reviews within a dedicated tab on your Facebook business page. As new reviews flow in, they will automatically be pushed to your Tab. Share your happy customer reviews on Facebook manually with 1-click or have our system publish automatically for you. 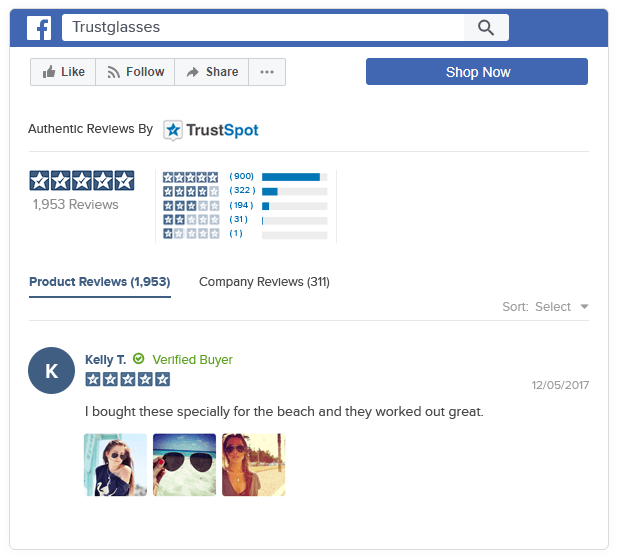 TrustSpot will also pull in your customer's review photo when sharing.